Dr Gabriel S. Levi joined the Orthopaedic and Rehabilitation Centers after completing his fellowship in Joint Reconstruction and Sports Medicine at the world-renowned Insall Scott Kelly Institute in New York, NY. He specializes in Joint Replacement and Arthroscopy of the knee, hip, and shoulder. Dr. Gabriel S. Levi completed both his medical school training and residency in Orthopaedic Surgery at the University of Illinois at Chicago. At the completion of his residency he was honored with the prestigious Leonard Weinstein MD award for Excellence in Patient care. 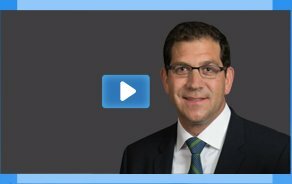 Dr Gabriel S. Levi has a special interest in joint replacement, cartilage injuries of the hip and knee, and all sport related injuries. Dr Levi utilizes minimally invasive surgery, bloodless surgical techniques, computer assisted surgery, and various methods of cartilage repair and restoration. Furthermore, Dr Levi is fluent in Spanish. Dr Levi’s research has been presented at national and international meetings. 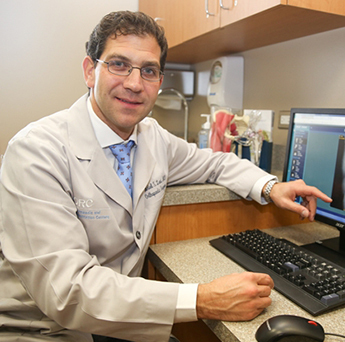 When describing his view of orthopaedics, Dr Levi states, "I see my patients as individuals. They each have a different level of injury to their bones or joints and their treatment should be tailored to their needs. Joint restoration and preservation includes many new methods of treating cartilage injuries to prevent or postpone eventual joint replacement. I enjoy performing joint replacement surgery but I prefer to postpone it as long as possible so my patients can have the best result that our current technology has to offer." Dr Gabriel S Levi utilizes his fully staffed physical therapy department to provide accelerated physical therapy protocols for his total joint replacements, arthroscopic surgeries, and cartilage preservation and restoration surgeries. With the use of his radiology department's state-of-the art technology he can screen for and treat osteoporosis. Dr Gabriel S Levi is fluent in both Spanish and English.